Please note: If you have created an account prior to August 2013, you may need to create a new account. Please let us know if you have any questions! Thank you! It's time to celebrate! People celebrate holidays and festivals in every corner of the world. From Christmas to Kwanzaa, Diwali, Hanukkah, Ramadan and Chinese New Year, emergent readers will discover each holiday's background, its traditions, and cultural or religious significance. Carefully levelled text and a close photo text match help promote comprehension every step of the way. Grades:PreK–2. Paperback. 1.Chinese New Year:-It's time to celebrate Chinese New Year! Clean the house. Have a feast with relatives. Watch fireworks and dragon dances. Make paper lanterns. Chinese New Year, or Spring Festival, is a celebration of new beginnings. 2.Christmas:- It's time to celebrate Christmas. There's so much to do! Make cookies and decorate the Christmas tree. Have dinner with your family. Exchange presents. This important Christian holiday celebrates the birth of Jesus Christ. 3.Diwali:- It's time to celebrate Diwali! Light lamps. Exchange cards and presents. Dance and watch fireworks. Diwali, or the Festival of Lights, reminds Hindu people of the story of Rama and Sita. It is a story of how good beats evil. 4.Hanukkah:- It's time to celebrate Hanukkah! Light the menorah. Sing songs and eat tasty treats. During Hanukkah, or the Festival of Lights, Jews remember a war they won. This allowed them to freely practice their beliefs. 5.Kwanzaa:- It's time to celebrate Kwanzaa! Light the kinara. Eat a big feast with your family. During Kwanzaa, people come together. They celebrate African-American heritage. 6.Ramadan:- It's time to celebrate Ramadan. For one month, Muslims don't eat or drink for most of the day. They pray and help the poor. Muslims focus on being thankful during this important Islamic holiday. 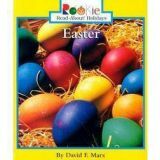 Uses simple text (with an Accelerated Reader ATOS level of 1.0 or below) and colourful photos. Back matter includes a glossary, common core questions, and much more. PreK-Grade 3. Paperback. Grandmothers:-There are many different names for a grandmother. But no matter what you call her, a grandma is a constant source of love and smiles. Beautiful photos, simple text, and an Accelerated Reader ATOS level of 1.0 or below combined with extensive back matter make this title a must for any family collection. Grandfathers:- Grandpas like to teach and play. They give big hugs and lots of love. Using simple text (with an Accelerated Reader ATOS level of 1.0 or below) and colorful photos, this book shows how important a grandpa is to every family. Back matter includes a glossary, common core questions, and much more. Sisters:- Sisters play, giggle, and love. Having a sister is having a best friend for life. Simple text and sweet photos show how great it is to have a sister. Extensive back matter including common core questions, a glossary, index, and more complete this title. All of this plus an Accelerated Reader ATOS level of 1.0 or below make this a great addition to any collection. Brothers:- Brothers laugh. They play. They love. Brothers make everything better. Photos and simple text show how much fun it is to have a brother. Back matter includes a glossary, common core questions, and much more. With an Accelerate Reader ATOS level of 1.0 or below, this title should be a part of every collection. Fathers:- Fathers laugh. Fathers cheer. Fathers love. Using simple text and fun photos, this title reinforces the role a dad plays in a family. Mothers:- A mother's love is unconditional and constant. A mother can solve problems like nobody else. 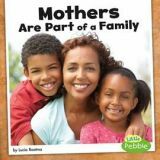 Fun photos and simple text make this title a must for any family collection. 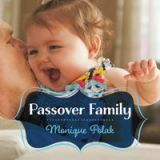 Teach babies and toddlers about this important Jewish festival by exploring what happens during the Passover seder with this delightful photographic board book. This primer features family and friends coming together to share a meal, tell stories and sing songs, and encourages little ones to participate in this special time. 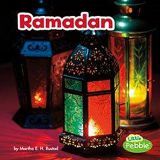 Children of all faiths will enjoy the bright photos and primary text that focuses on bringing family together to celebrate and observe a holiday tradition. Infant and Toddler. Boardbook. 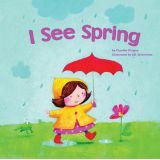 Spring has busy birds, rain showers, and flowers. Celebrate the season with these delightfully simple and fun nonfiction picture books! PreK–Grade 3. Paperback. What things do you see with the changing seasons? 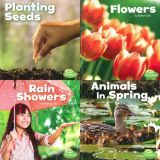 Explore the animals, weather, and physical changes to nature with simple text, and brightly coloured pages. Ages 2 and up. Colourful photos and simple text encourage children to read on their own. 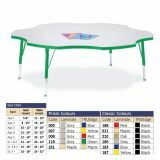 Table tops feature easy to clean laminate on both sides, and TRUEdge molding that won't peel off. Assembly required. Additional shipping required. 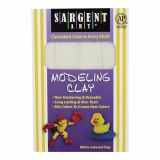 60"
Super colours for mixing & blending soft, subtle colours. Four sticks wrapped together. Ages 3 and up. Features a colourful, classic, chalkboard design. The 67-piece calendar set includes a calendar chart, 12 month headlines, 31 pre-numbered calendar days, and 4 blank calendar days. The set also includes a days-ofthe-week chart, a seasons and weather chart, and coordinating labels. 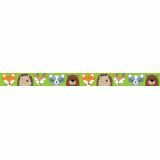 This cute Woodland Friends border will add charm to bulletin boards, doors, and common areas. This border features colorful woodland animals (owl, fox, hedgehog, squirrel, bear and raccoon) on a leafy green background. 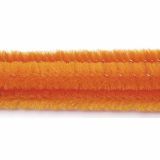 Perfect for use in a variety of classroom displays and themes: science, nature, outdoors, animals, and camping. 35 feet per package.